If your gutters are not in tip top condition you could be storing up trouble for the future. Gutters direct rainwater away from your house and prevent water ingress into foundations, walling, cladding, windows and doors. Should you need new guttering or indeed any roofline products such as fascias and soffits you could not do better than contact Camberley Glass and Windows. We have a large variety on offer in a range of styles, materials and colours. We do not enter into any pressure selling and our aim is to provide you with the right product at the right price. Camberley Glass and Windows is a company to be trusted. We have worked in Hampshire for almost 50 years. Customer care is at the heart of our company which is why much of our business comes from personal recommendation. Why people come to us again and again is shown by the comments of our customers on our testimonial page and our high ratings on Checkatrade. We are also on the Buckinghamshire and Surrey Trading Standards Approved list of traders. If you are interested in learning more about our roofline products, which all come fully guaranteed, please come to our showroom at our offices in Camberley, Surrey, where you could view our range and talk to our experienced advisers. 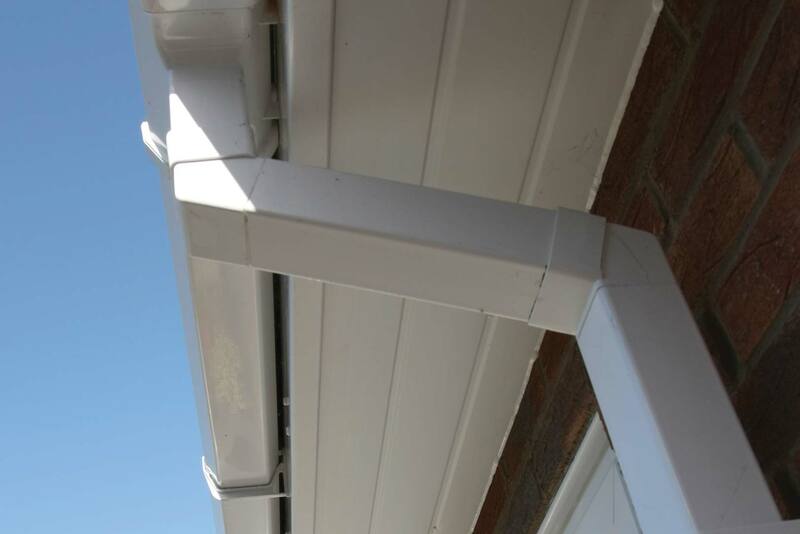 Our professional and efficient team of fitters are also available to fit any roofline products for you.